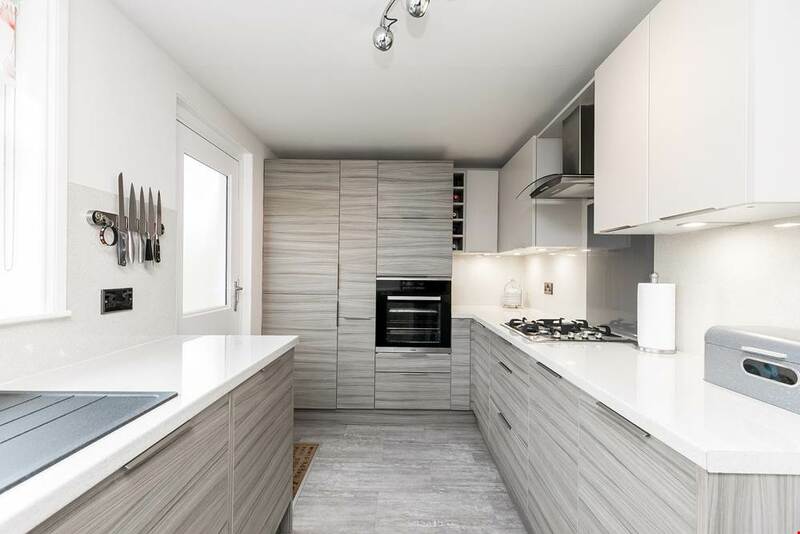 Recent completed kitchen renovation carried out using a mixture of our Matt Driftwood slab on the base units and larders and our Cashmere Gloss slab on the wall units. 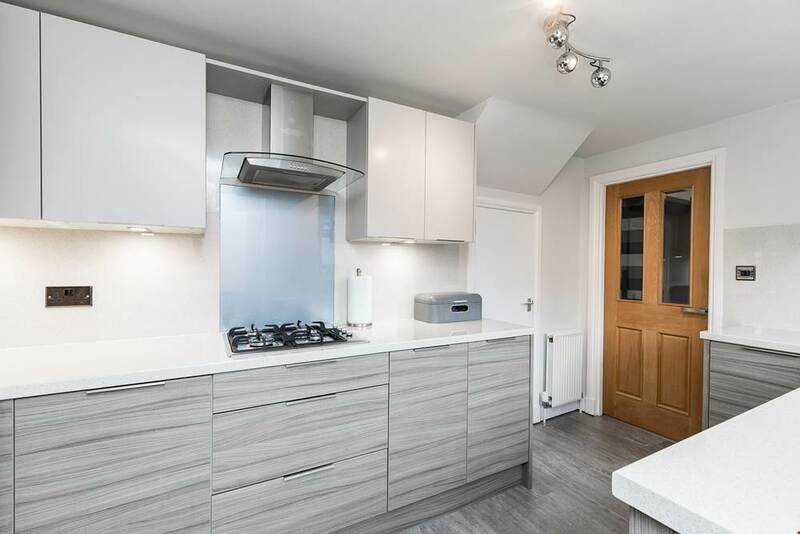 Finished with Vanilla Quartz gloss laminate worktops and sleek back fix stainless steel handles this kitchen is simple, modern and bright creating an ideal working space for your home. If you wish to find out more about this stunning kitchen project then please do not hesitate to contact us.